GunSitters® is a secure storage facility designed to store firearms for responsible gun owners. Firearm owners are now able to take action to place their guns in their own personal storage space to keep control of them. Firearms are no longer stored improperly or available to those who may use them irresponsibly. 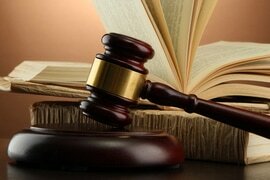 Legal Situations - Divorce, Legal Violations, Mental Health Concerns and Estate Issues. 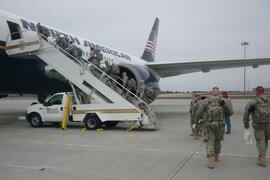 Military Service - Deployment, PCS, Schools, Extended Operations and Veterans. GunSitters does not take ownership of your firearms. You retain ownership of your firearms, so you can come and go as you please without state or federal paperwork during business hours or by special appointment. Your firearms will be secured in an environmentally controlled facility that meets and exceeds state & federal standards on firearm security. Clients can easily call and make an appointment to drop-off or pick up their firearms If your situation dictates that you can no longer legally possess firearms, even temporarily. As an additional service, with an affiliate federal firearm licensed holder (FFL) we can also arrange consignment of your firearms. GunSitters has carefully crafted this program in conjunction with the ATF, Federal & State Attorney General’s Office and Several State Law Enforcement Agencies. Why you may WANT to use GUNSITTERS Services? Large collection in which you do not need particular firearms beyond the basic necessity of home/personal protection. An increase in your firearms collection due to an inheritance in which space in your home is not available. 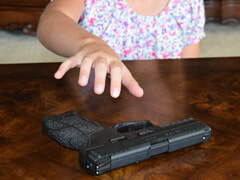 Curious children or adults present in your home whom may not possess competent firearms safety skills. To settle the concerns of an apprehensive domestic partner. Divorce where you may have to remove your firearms from your residence while the proceedings are taking place. An extended presence of a person in your home who is known to be disqualified to possess firearms. Estate Preservation of inherited firearms during the probate process and while awaiting legal distribution to the beneficiaries. Extended regional State of Emergency due to a storm or public service outages. Elderly who may need to move to an Assisted Living Facility. GunSitters has an Emergency Storage Program. if your home becomes uninhabitable due to a flood, fire or natural disaster we can store your firearms and your insurance could pay for it. U.S. & Texas LawShield is the legal defense for self-defense program that provides members instant access to an Independent Program Attorney 24/7/365 if ever they are called upon to defend their life, their family, or their property. Become a Member Today! The GunSitters Mobile App is Here!